The BC Election Has Begun! If you happened to miss it today, the writ has been dropped, and the B.C. election will be held four weeks from today, on Tuesday May 9. Affordable housing is certain to be one of the big election issues, and we’ll be covering that issue — and others — in the weeks ahead on Each for All. Last week, the Parliament of Canada voted unanimously to adopt Motion M-100. M-100 is a Private Member’s Motion, tabled by Quebec Liberal M.P. Alexandra Mendès to establish a framework that will promote the recognition and development of co-operatives in Canada. In its recent financial statement, First West Credit Union of Langley, B.C. says it has furthered its commitment towards building healthier communities. The credit union has contributed more than $2 million through its community giving activities, including the organization’s signature causes, Feed the Valley and The Full Cupboard, bringing its community investment total to $12.2 million since 2010. 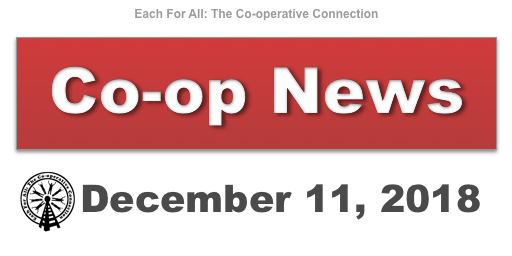 Co-operate Now is an three-day co-op business bootcamp. It’s run by BCCA and VanCity with support from over a dozen BC co-ops and Credit Unions. They’re now accepting applications for the 2017 class. May 30 – June 2, 2017. This year it’s at Ryerson University in Toronto. They invite proposals on the themes of economic, social, environmental, and organizational sustainability. In addition to AGM business there are workshops and networking opportunities. Over 750 co-op members, leaders and managers are expected to attend. This year’s AGM is in Niagara Falls, Ontario. The conference brings together practitioners, researchers, and community organizations to advance social entrepreneurship and improve community livelihoods. This year’s conference is at Cape Breton University. 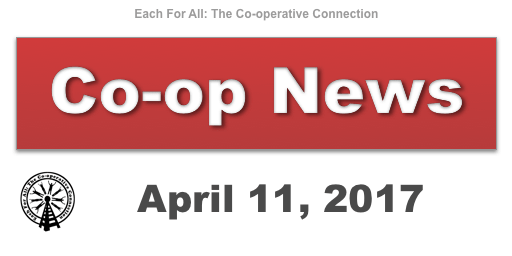 If you have news or events to tell us about send an email to media@eachforall.coop.